You can buy the book in several ways. You can buy it on Amazon. Their 'Look Inside' feature means you can get a taster of what the content is like. Or you can buy it here, using the link on this page. Or, best of all, you can support your local bookshop and ask them to get it for you. It's available to shops through the distribution channels they normally use. You can also buy it at seven local independent bookshops in Cumbria: Bookends in Keswick and Carlisle, Fred Holdsworth in Ambleside, Sam Read in Grasmere, The New Bookshop in Cockermouth, and Henry Roberts in Bowness and Ambleside. It's also available on Kindle, so you can download a copy instantly. If you don't have a Kindle, download the free Kindle App and you can read it on your smartphone. The retail price is £12.99 including postage and packing in the UK. For overseas please check with me via the contact page. Alternatively, the Kindle price is £3.95. 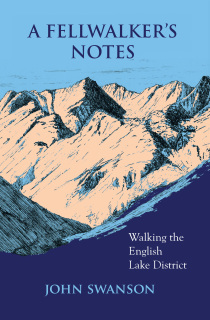 Walks, tales and drawings, all about the Lake District. ​Post and packing within the UK is free.